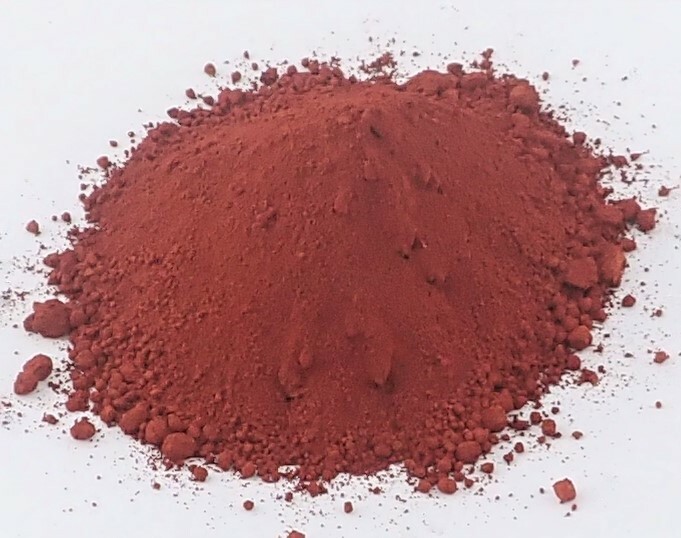 The Iron (III) oxide from Inoxia is a high performance micronised pigment with a yellowish red colour. It is also known by the mineral name, haematite. Iron oxide is also well know for it’s use in the thermite reaction, which can be used to weld steel. Pigment - Used in the paint and coatings industry as well as plastics and wood plastic composites. This micronised pigment has excellent dispersibility as well as stability in high energy mixing processes and at high temperatures. Thermite and iron smelting - Iron oxide can be mixed with aluminium powder to create small iron castings or welds, regularly used for joining rail tracks together. Polishing - This iron oxide powder is also know as 'jeweller's rouge' or simply rouge and is used for polishing glass and metallic jewellry.